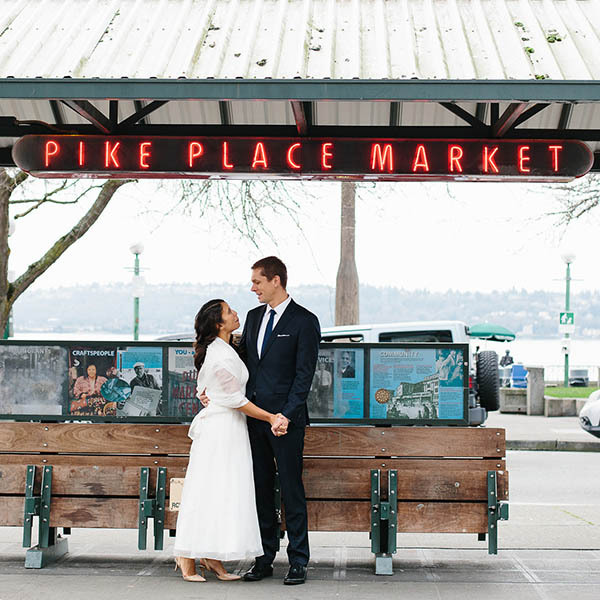 Nat & Skylee Sahlstrom fell in love at Pike Place Market, and even held their wedding here too! That’s why they commemorated their love on a Bronze Hoofprint, which will shine on the new MarketFront plaza for generations to come. As newlyweds, we are excited to share our love of the Pike Place Market! We started our lives here together – we’d meet for dates and stroll down the street eating Ellenos yogurt and listening to buskers. This place means so much to us that we got married in the Market! 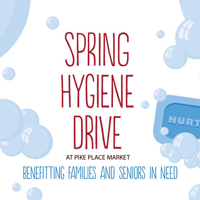 We decided to share our joy by supporting the Market and the many community services it offers. Our bronze hoofprint will forever glow on the new MarketFront Plaza. 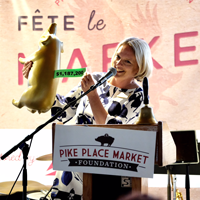 Together we are proud to share our love for Pike Place Market by contributing to the Pike Up campaign.